There are so many books about Colorado that sometimes we like to showcase a few by inviting authors to come to the Museum. This gives visitors the opportunity to talk with the authors about their books. 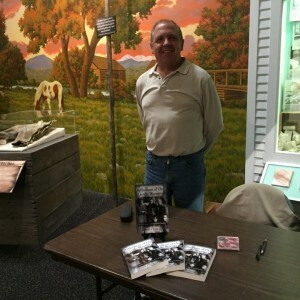 Brad Hoopes brought his new publication, Reflections of Our Gentle Warriors. In this book, World War II veterans, now in their eighties and nineties, tell their stories for the first time, providing a fresh, human perspective on their experiences. Jeff and Cindy Feneis were here to talk about their publication, Exploring Loveland’s Hidden Past. This book focuses on the time period between 1860 and 1910. Most of the businesses and industries that began during this period have come and gone. This book explores the colorful mark that these entities left on Loveland’s history and development. Ken Jessen brought along many of his popular books. One that caught my eye and I look forward to reading is Colorado’s Strangest. It contains 42 true stories about the imaginative pioneers that are as much a part of Colorado’s history as mining, ranching and railroading. 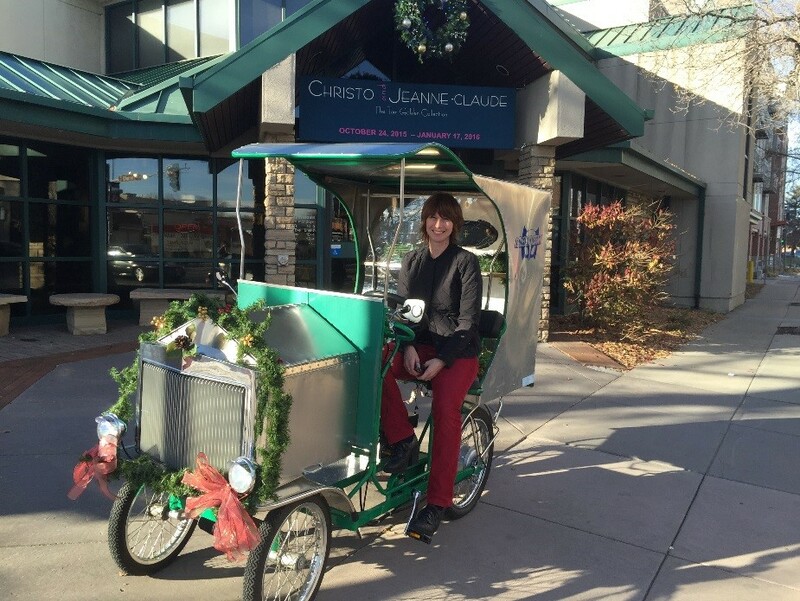 This year the Loveland Public Library brought over their new “limo,” decorated for the holidays, with a variety of books about Colorado that can be checked out at the library. These books included a new book by Nancy K. Williams called Haunted Hotels of Northern Colorado and a book titled, Canine Colorado: Where to Go and What to Do with Your Dog by Cindy Hirschfeld. I have to admit that returning the “limo” to the library definitely put a smile on my face! 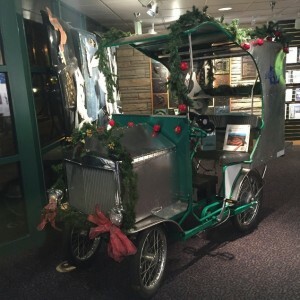 It got me thinking that we need one at the Museum for our outreach programs. If you are interested in purchasing books by the above mentioned authors, come visit the Museum’s shop in January 2016 for a selection by these authors and more.